This is part of the ongoing Hyperlocal Voices series of interviews. I set up the blog but my husband, Paul Watson, now helps with it. We are both journalists. I have worked as reporter, news editor, sub-editor, deputy editor and acting editor moving, within one company, between the Bury Free Press, Newmarket Journal and Lynn News and Advertiser. After moving to Sussex I worked as a freelance for the Sussex Express. Paul too worked in all jobs across the newsroom before becoming an editor. He edited free newspapers in King’s Lynn and Wisbech before moving to edit the Middy, (the Mid Sussex Times at Haywards Heath) and then the Sussex Express. 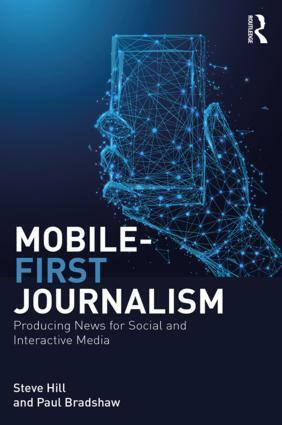 Most recently he has been looking at the future training of journalists in managing a project led by the National Council for the Training of Journalists supported by the Broadcast Journalism Training Council, the Periodicals Training Council and the Society of Editors. The project has included a survey of employers of journalists, relevant education providers and new entrants to the profession. He continues to work as an editorial consultant for the NCTJ. I started a PR business, wanted to attract the attention of local businesses and thought it would help to have an Uckfield News page on my website. I updated it daily with nibs (news in brief). I started the news page three-and-a-half years ago using the free Microsoft Office Live platform. After about 18 months I altered the focus of the site to Uckfield News and a year ago had a bespoke site built. None. I didn’t know people were setting up ‘hyperlocal’ sites. Everything I have done has been reactive, people liked the news so I added more of it, I tested a shopping feature and it led to the listings, the listings are now leading to more features and people who pay to list (so supporting the site) are, where possible, sources for stories. Uckfield is on the edge of circulation areas of three paid-for newspapers. They cover the town well but can’t pick up the ‘nitty gritty’ because of commitments to other towns. I’m particularly interested in planning applications, change within the town, shopping and business news. I concentrate on reporting facts, leaving people to add their views in the comment sections at the end of stories, and on Uckfield News Twitter and Facebook pages. I also mix paid-for ad features in with the news. Where I see people hunting for information, perhaps on Twitter or Facebook, about traffic hold ups or fires I make the calls to find and post answers but I don’t make the traditional daily calls and tend to avoid “shock, horror, probe”. Adding shopping, business and history features. They are a good way of bringing people back to the site on a regular basis. It doesn’t seem long since I was pleased to have four or five visitors a day! Growth has been slow but by the time we launched the new site a year ago we were getting about 1,000 unique visitors a month. In our most recent peak we hit about 4,500 unique visitors, 9,000 visitors and 25,000 page views. The figures have settled again to about 3,000 unique visitors, 5,000 visits and 14,000 page views a month but the trend is upwards. Paul and I have the desire to cover everything that moves because old habits die hard! But I am reining back because I don’t want to do this without advertising support. I have just had the site altered to accommodate advertising and hope to start building that side of the business. This entry was posted in twitter and tagged BJTC, cathy watson, facebook, Hyperlocal, Hyperlocal Voices, Microsoft Office Live, NCTJ, paul watson, ptc, twitter, uckfield news on November 23, 2010 by Paul Bradshaw. Gap between what news recruiters get and what they want from Paul Bradshaw on Vimeo. More about the panel this was part of on the Society of Editors website. 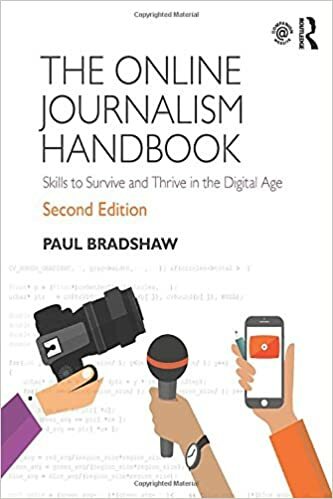 This entry was posted in online journalism and tagged BJTC, donald martin, journalism, NCTJ, ptc, research, skills gap, skillset, society of editors, training on December 18, 2008 by Paul Bradshaw. The UK’s three leading journalism training bodies have finally announced that they are to work together as part of a new ‘Joint journalism training council’. The National Council for the Training of Journalists, the Broadcasting Journalism Training Council and the Periodicals Training Council – who have traditionally provided training for regional newspapers, broadcast journalists, and magazines respectively – have been encroaching on each others’ territories for a while as the industries converged. In other words, treating the website as a place to shovel – and possibly add to – content produced for another medium. The statement does go on to say “It is recognised that this is not an exhaustive list”, but it’s not a promising start. This entry was posted in blogging and tagged BJTC, jjtc, journalism, National Council for the Training of Journalists, NCTJ, online journalism education, ptc, shovelware, training on November 11, 2008 by Paul Bradshaw.